Recent years have seen an increasingly sophisticated debate take place with regard to the armies on the Western Front during the Great War. Some argue that the British and Imperial armies underwent a ‘learning curve' coupled with an increasingly lavish supply of munitions, which meant that during the last three months of fighting the BEF was able to defeat the German Army as its ability to conduct operations was faster than the enemy's ability to react. 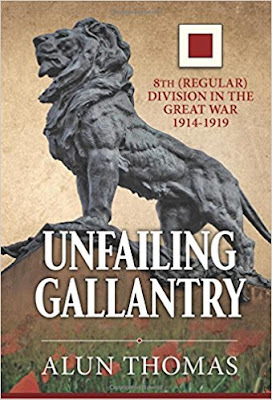 This book argues that 8th Division, a war-raised formation made up of units recalled from overseas, became a much more effective and sophisticated organisation by the war's end. It further argues that the formation did not use one solution to problems but adopted a sophisticated approach dependent on the tactical situation. This is supported by using original sources including war diaries, after-action reports and the post-war correspondence with the British official historian. From its first acquaintance with the peculiar nature of trench-warfare following its arrival in France in late 1914, 8th Division undertook a series of operations that attempted to break the deadlock. Incorrect lessons were learnt, culminating in failure on the Somme in 1916. The Division became ineffective and required rejuvenation. This was accomplished by a new command team. Involvement in the semi-open warfare during the advance to the Hindenburg Line reinforced the efficiency of the Division. Thus, despite enduring torrid fighting at 3rd Ypres and during the German Spring offensives of 1918, by the ‘advance to victory' of late 1918, 8th Division was able to operate at a tempo far higher than it had achieved before. Unique selling points: first examination of the Division since the 1920's; gives the background to works such as ‘General Jack's Diary' and Sir John Baynes' book ‘Morale'; shows that not all troops marched in lines on 1st July 1916; use of new tactics, especially in 1917-18, e.g ‘neutralisation' not ‘destruction'.